What is Big Brother and Sister? It is an opportunity for grade 7 learners to get hands on and go to their allocated classes to give a fun lesson during what would have been assembly. This year we taught grade 1 to 6 learners about Discipline, Kindness, Hope and lastly Green Footprints. I was privileged to have an awesome grade 1 class where I received lots of hugs, sweets and heard the cutest of answers! 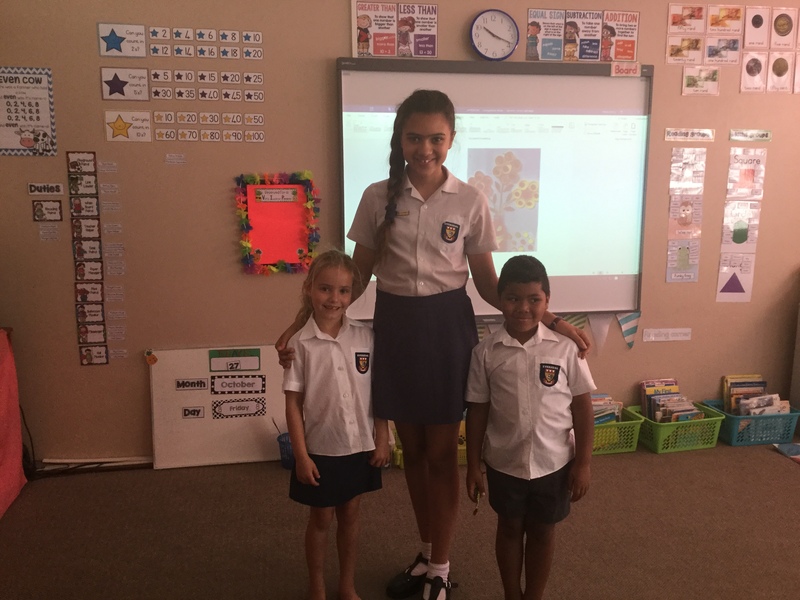 I must admit that these grade 1 learners are super smart. This was quite an experience! It was interesting to hear how others responded to the questions we asked and how they understood the information given by us. It also boosted my confidence to talk in front of a group of people (even if they were only 7 years old) and not be embarrassed. You will always be our little brothers and sisters and we will miss you tremendously once we leave to go to High School. From: A very happy Big Sister.